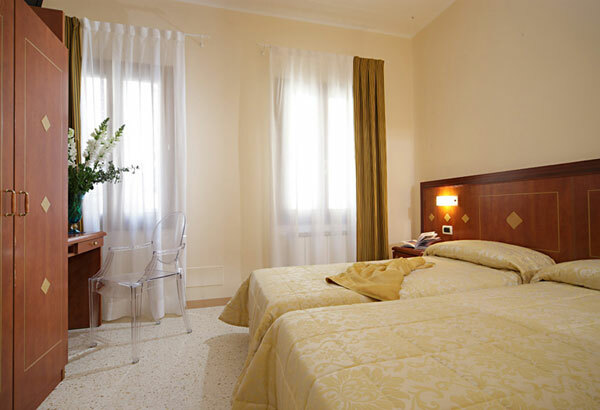 Close to the Santa Lucia train station in Venice, the Adriatico Hotel offers comfort and hospitality in bright rooms with refined decorations: a brilliant mix between Venetian style and modern design. 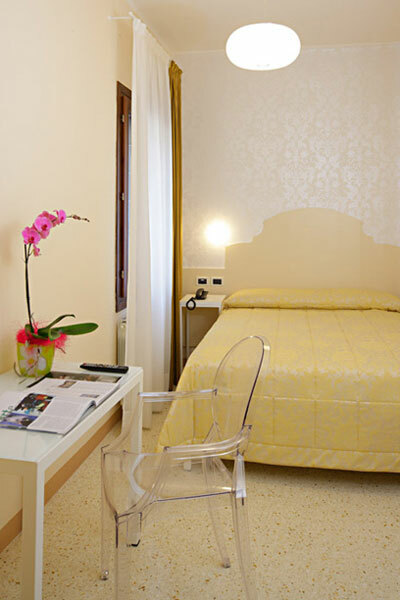 Thanks to the white furniture and damask walls, our 12 rooms communicate a pleasant sensation of space and breeziness; our careful attention to detail includes satellite flat-screen TV, wireless Internet access and direct telephone line. Single. 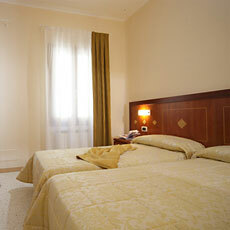 Warm and with all comfort, splendidly furnished with French bed and bathroom. Double. 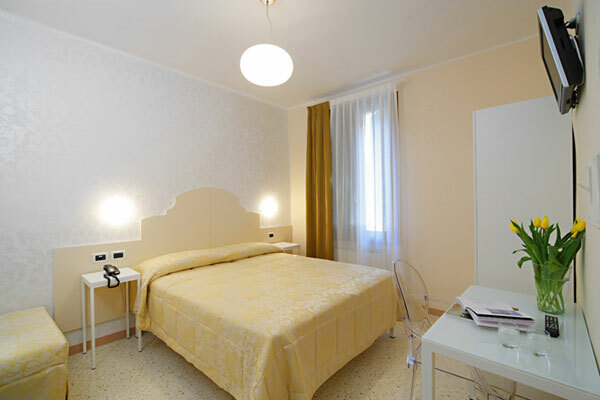 Warm and with all comfort, splendidly furnished with matrimonial bed (two, with the possibility of an extra bed) and bathroom.